Yahoo dumps smartphone app in favor of iPhone | BlackBerry Blast! 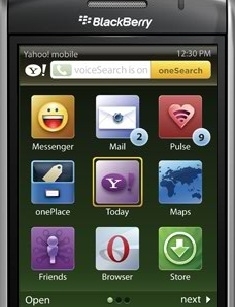 Yahoo has ditched its mobile app for smartphones like the BlackBerry and is now focusing on the iPhone. What's up with that? They sent out this email yesterday that basically says other than the iPhone, smartphone users will have to use a browser for their Yahoo experience. The feedback we�ve received from our beta testers during this program has been extremely helpful in improving the customer experience across all of our Yahoo! Mobile products. We hope you�ve enjoyed being a beta tester and that you�ll continue to provide passionate input to us regarding our products.